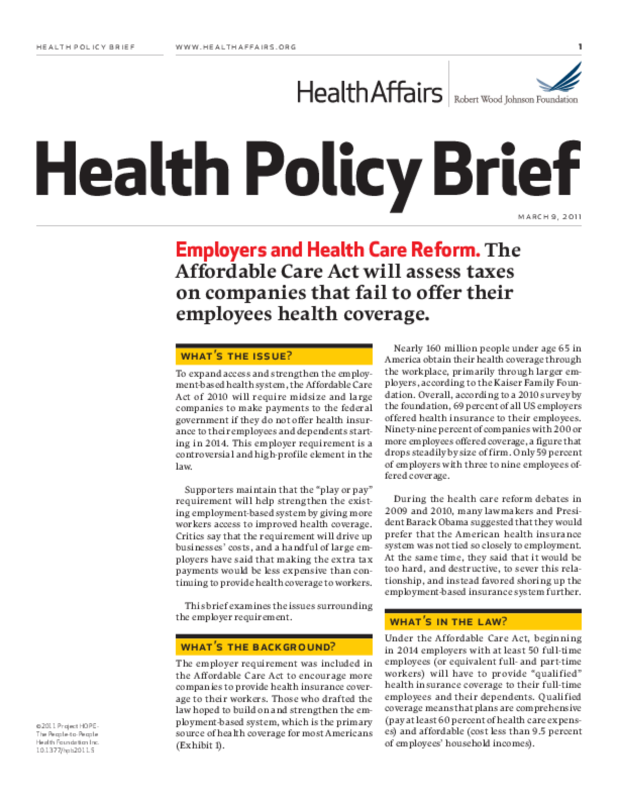 Outlines the issues involved in the 2010 healthcare reform's requirement that large and midsize companies offer health insurance to employees and dependents or be subject to assessable payments. Considers implications and arguments for and against. Copyright 2011 Health Affairs, Robert Wood Johnson Foundation.